There are lots of people involved in leadership at Welcome Church, far too many to list them all! 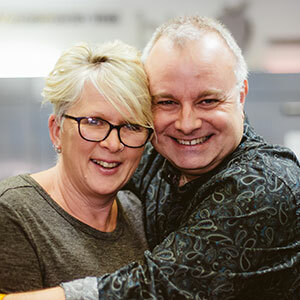 Steve started as the Lead Pastor at Welcome Church in September 2017. Before this he was in senior church leadership for 17 years and during that time started 4 different congregations and helped to give oversight to many others. 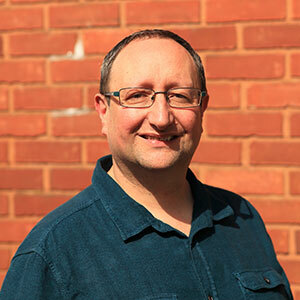 He is also part of the UK Leadership Team of the Commission network of churches. You can read’s Steve’s Welcome Church blog by clicking here. Steve is married to Jo, who is a headteacher in a school for children with Special Educational Needs. Jo also helps to lead the worship at Welcome Church. Together they have 3 grown up children. Dub is the Outreach Pastor, helping people connect with and find their place within Welcome Church. He oversees Alpha & Beta – 2 great courses involving meals and exploring faith, and also the 20s 30s group. Dub is also involved in our social action and care for the poor. Dub was the Sales Director of Benross Golf, before joining Welcome Church in January 2015. His main hobby is football – Dub is an ex-player who is passionate about his team Fulham! He is married to Tanya, who is a primary school teacher currently enjoying a busy life as a full time mum to their 3 children and using her creative juices overseeing all craft for Welcome Kids!! Dean is married to Ros and they have been part of the church since 1999. Dean joined the leadership team in 2012. In his pastoral role, amongst many other things, Dean oversees the welcome of people and their pathway into the church, so if you want to find out more about what it means to belong, Dean would love to chat with you. Before working for the church Dean enjoyed a career in architecture and construction. He loves sport, particularly football and fishing, and has a go at painting. Together, Dean and Ros are foster carers, and Ros also gives her time to training guide dog puppies. They have 3 grown up sons. David has been part of the leadership team at Welcome Church for 17 years. David looks after our specialist pastoral care and our Life Groups, and he has also been involved in leading a lot of our social action initiatives and chairs the steering group for Woking Foodbank. Before working for the church, David was Head of Water Engineering for an international civil engineering consultants. He loves being outdoors particularly fell walking and fishing for trout. As a former rugby player he still enjoys a good match from an armchair! David is married to Tina and they have two grown up daughters. Tina is a deputy headteacher at a complex needs school. Tina is also involved in pastoral care and Life Groups. Our Eldership team is supported by four staff members who are based in our office during the week, plus a range of volunteers who are often in the office helping. Ben Martin is our Children and Youth Pastor. He joined Welcome Church in 2011. He is passionate about seeing children and young people reach their full potential and know their value. He’s also never afraid to make himself look silly, which makes him ideal for the job! He also heads up Commission Kids, a network of children’s workers across the Commission family of churches, and runs the 6-8s kids’ work at Westpoint, an annual family camp in Exeter. 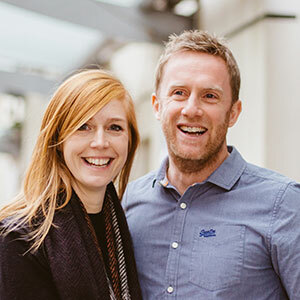 Before joining Welcome Church Ben spent ten years working in middle management, latterly for the Early Learning Centre at their Guildford store. Ben is married to Nancy, a local councillor and public affairs consultant. 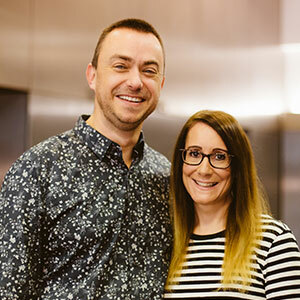 Darren is the Director of Operations for Welcome Church, a role he started in Jan 2018. He is responsible for making sure everything we do runs smoothly. Before joining Welcome Church, Darren worked in operations in two other large churches. He has also worked in manufacturing industry and in school business management. He is married to Lois and together they run our Freedom in Christ course. They have two grown up daughters. Peter joined the staff at Welcome Church in 2010. Peter works as part of the administration team in support of Darren. Peter is a keen England rugby supporter, so you might find it hard to contact during the Autumn series or the Six Nations matches in Spring. He is married to Sha with four wonderful children and he is now enjoying seeing his grand-children grow and develop!